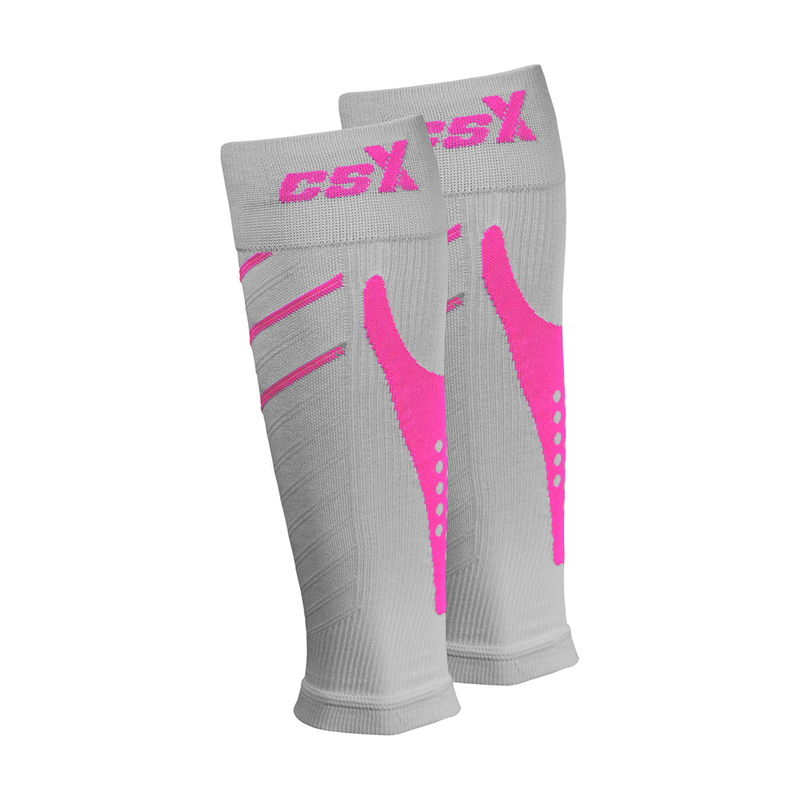 CSX Compression Calf Sleeves use 15-20 mmHg compression, and are designed to give athletes and active individuals the decisive edge in performance, injury reduction and recovery. CSX Calf Sleeves for Running are built with the greatest support at the ankle that reduces gradually up the leg, they work to reduce the diameter of the superficial veins in the lower leg and thus help improve blood flow. These compression calf sleeves improved flow can help protect, energize, and renew tired muscles. They reduce swelling and promote faster recovery. 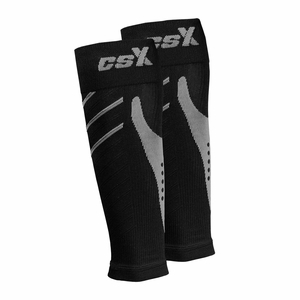 These running calf sleeves feature an extra wide self-adjusting top band that helps preven it from sliding down. 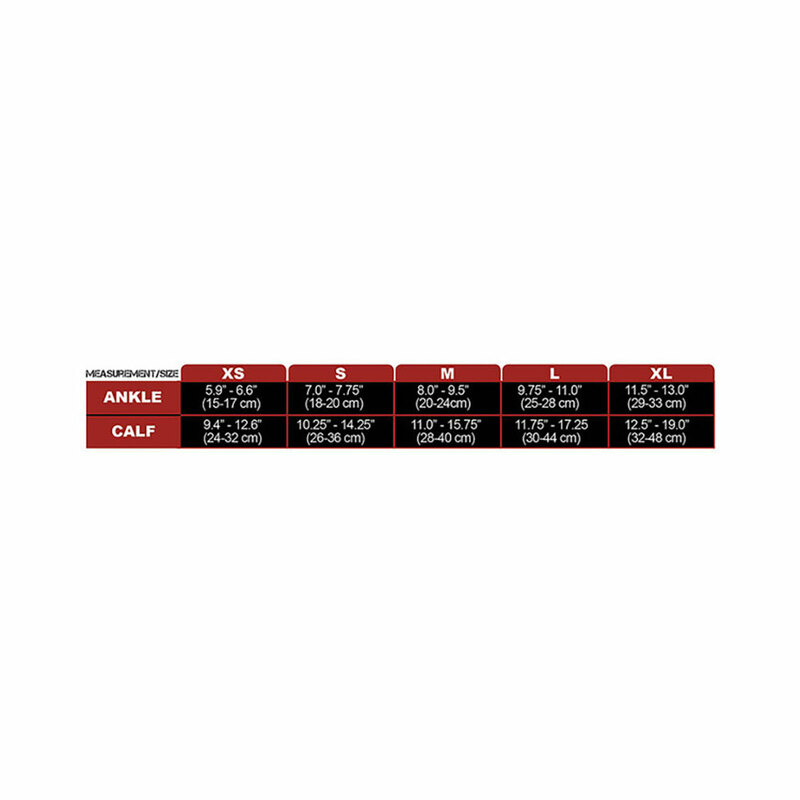 The v-Guard shin protection helps prevent shin splints. It also has a calf cradle that helps prevent calf fatigue and strains. CSX Calf sleeves are comparable to CEP Sleeves and Zensah Sleeves. Available in 4 colors and sizes.